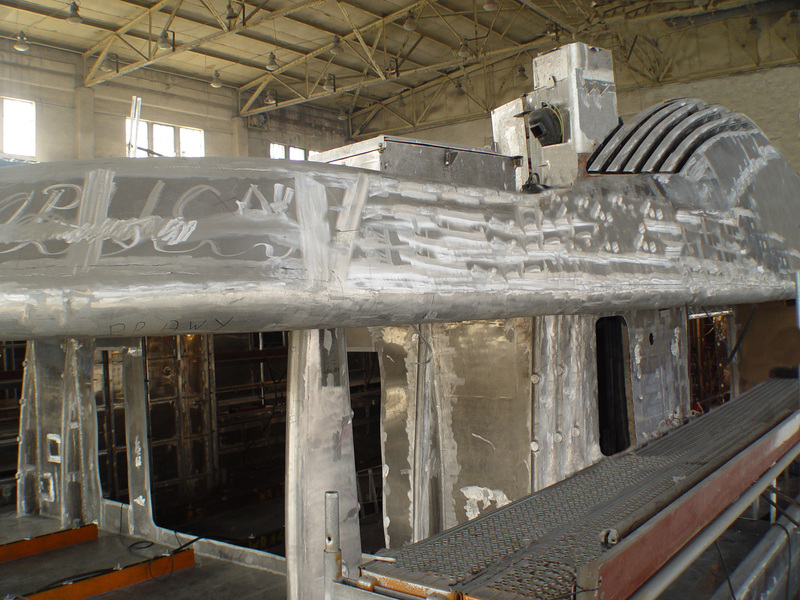 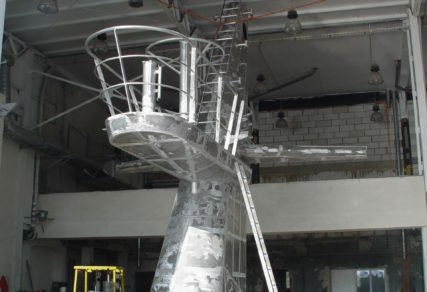 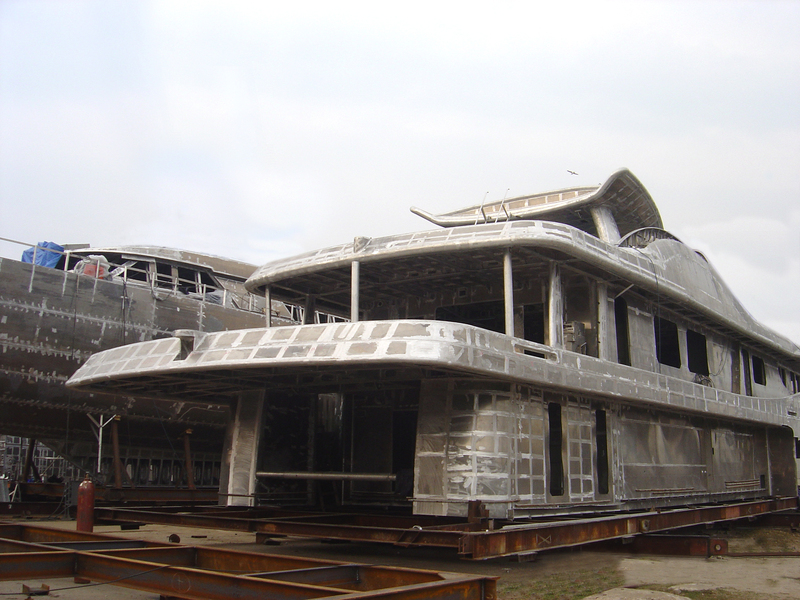 Constructions of hulls and superstructures of aluminum were from the very inception P.U. JABO regarded as “core business” and constituted the largest part of production. 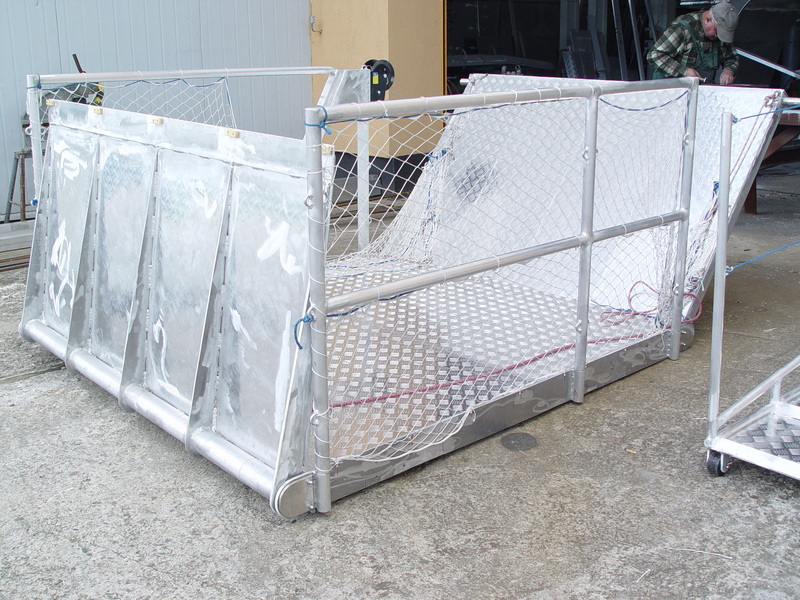 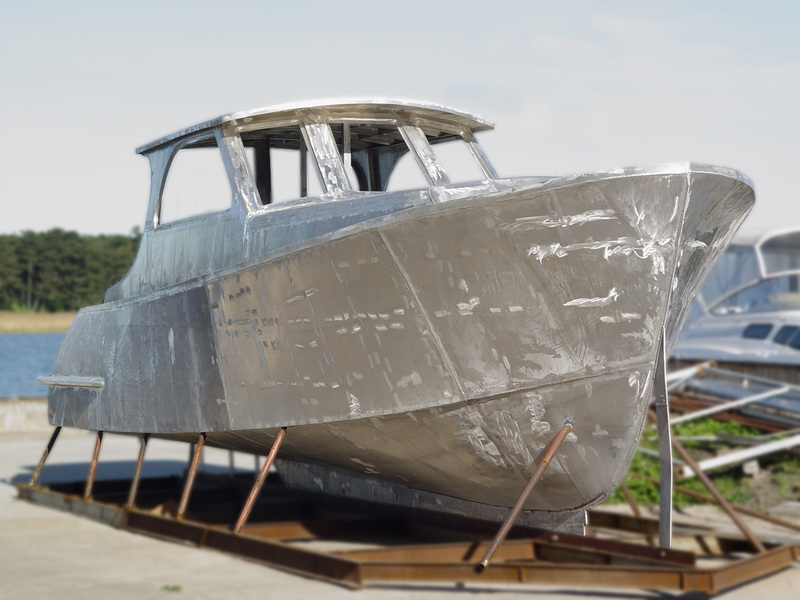 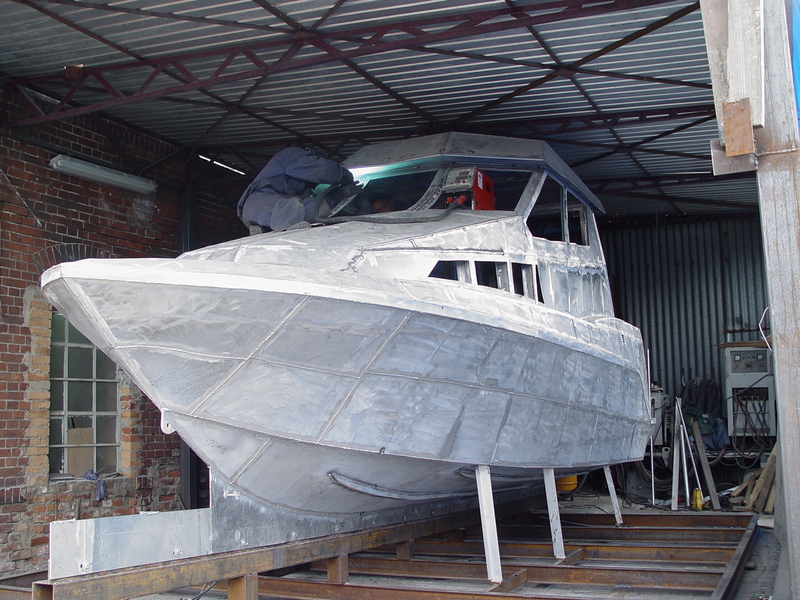 Based on the years of experience we realize aluminum hulls jachotw, fishing boats, motor boats, ferries, catamarans and many other vessels. 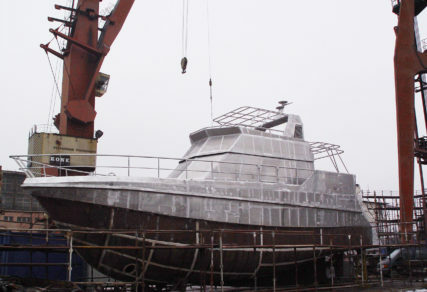 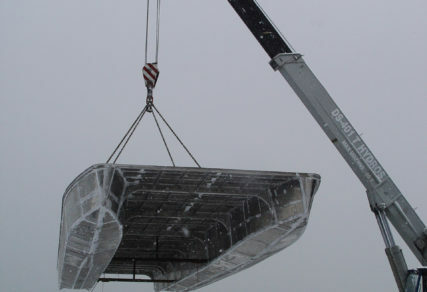 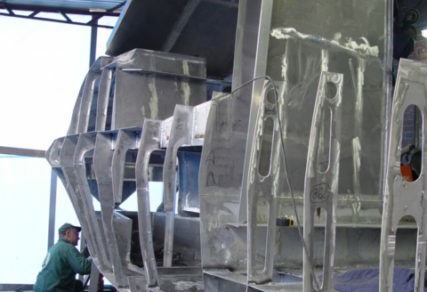 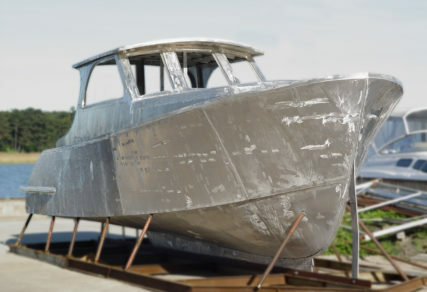 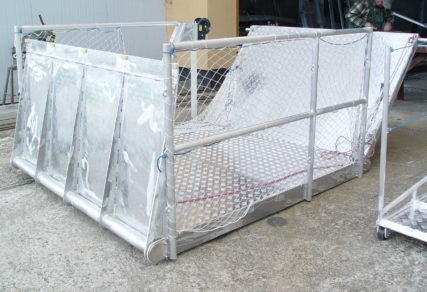 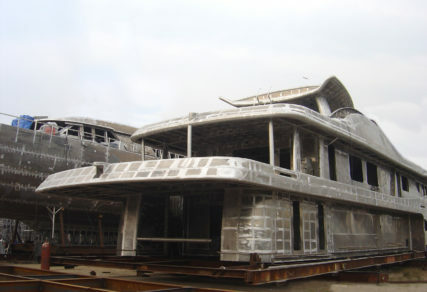 Built by the shipyard JABO aluminum superstructure made at the highest level very often are used not only in the construction of hulls of aluminum yachts and mega yachts, but also thanks to the use of three-layer type connectors Triclad and Triplat in this type of steel units. 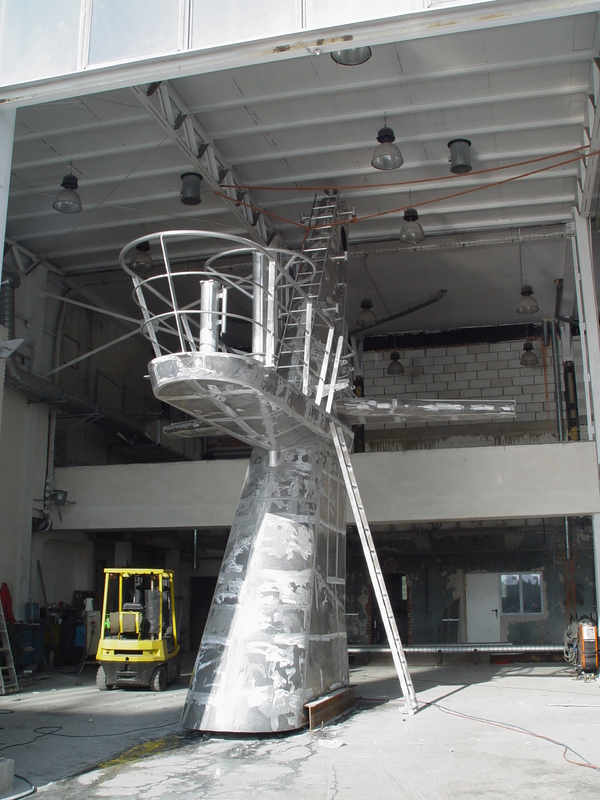 Thereby lowering their specific gravity. 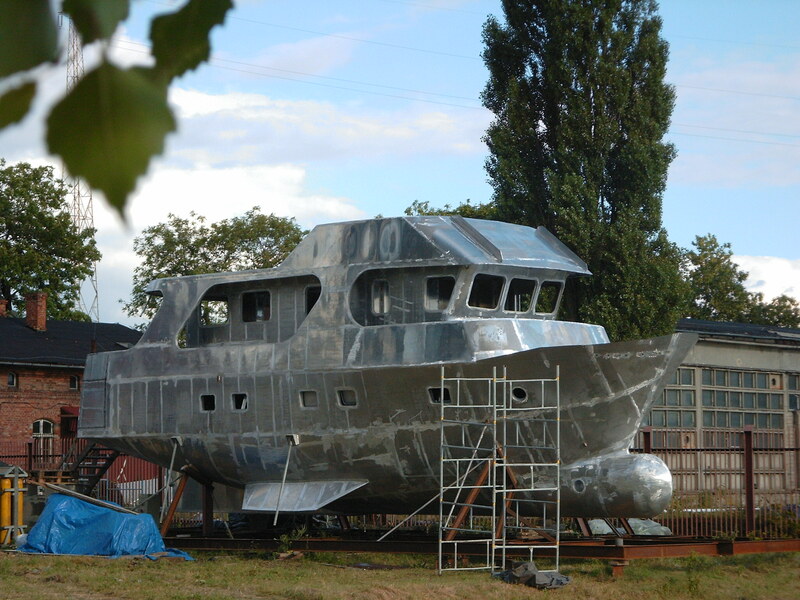 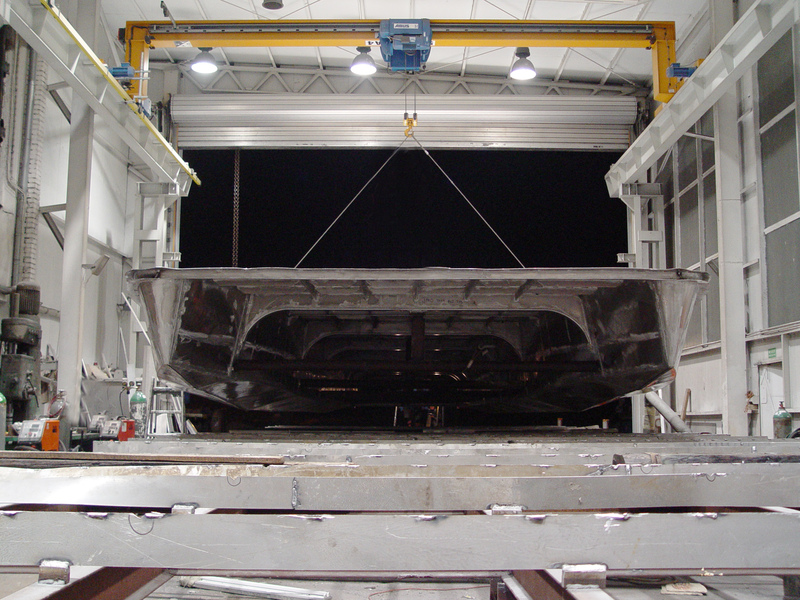 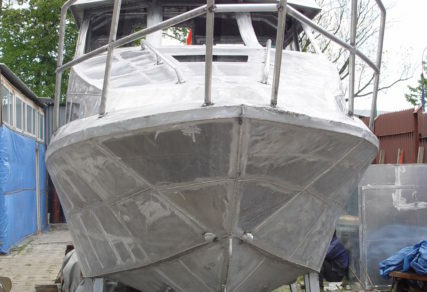 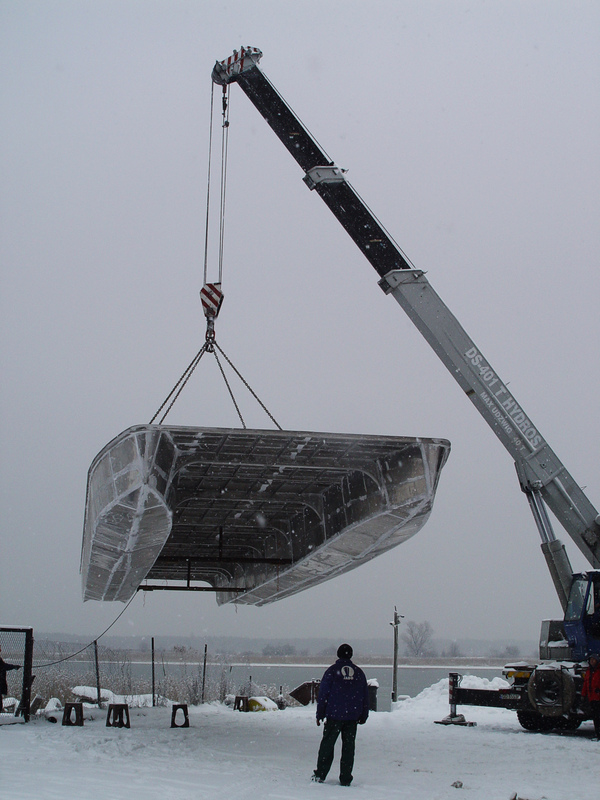 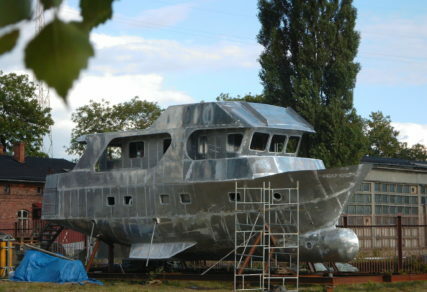 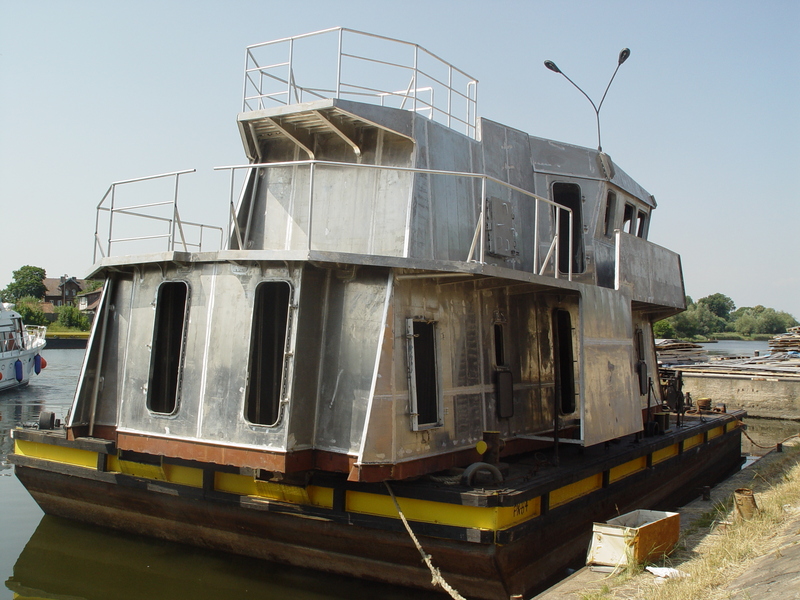 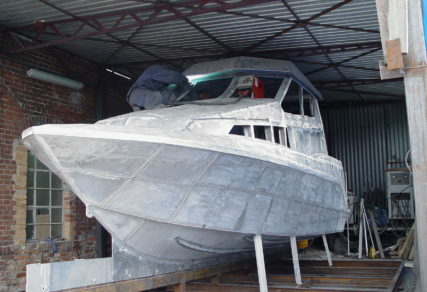 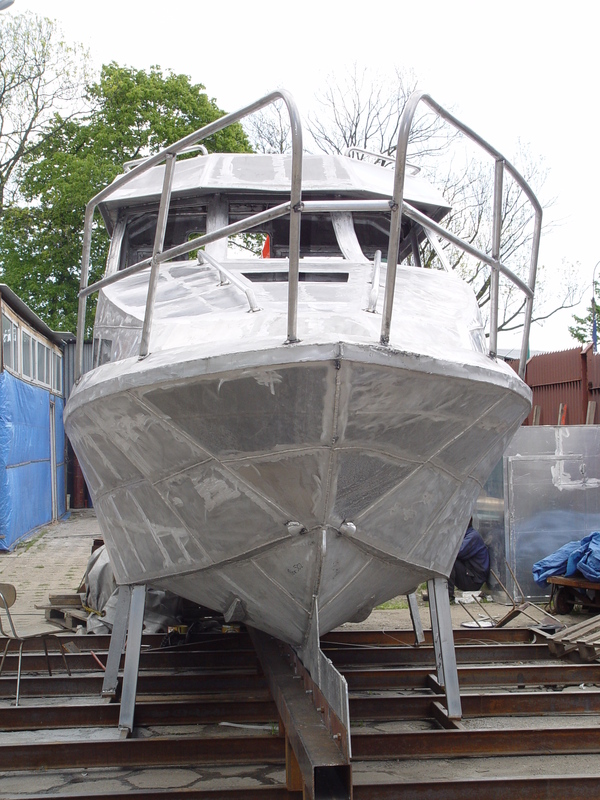 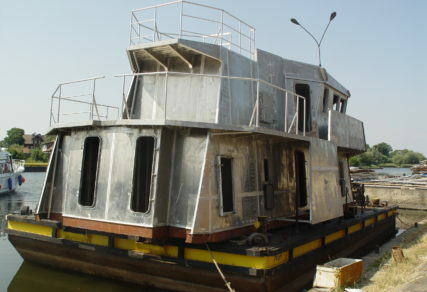 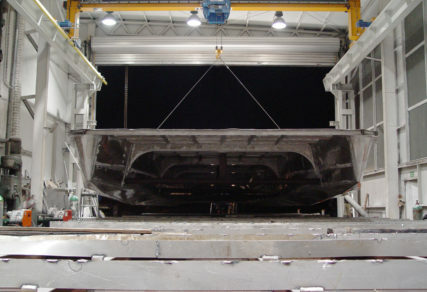 We make steel hulls and superstructures of watercrafts of all kinds. 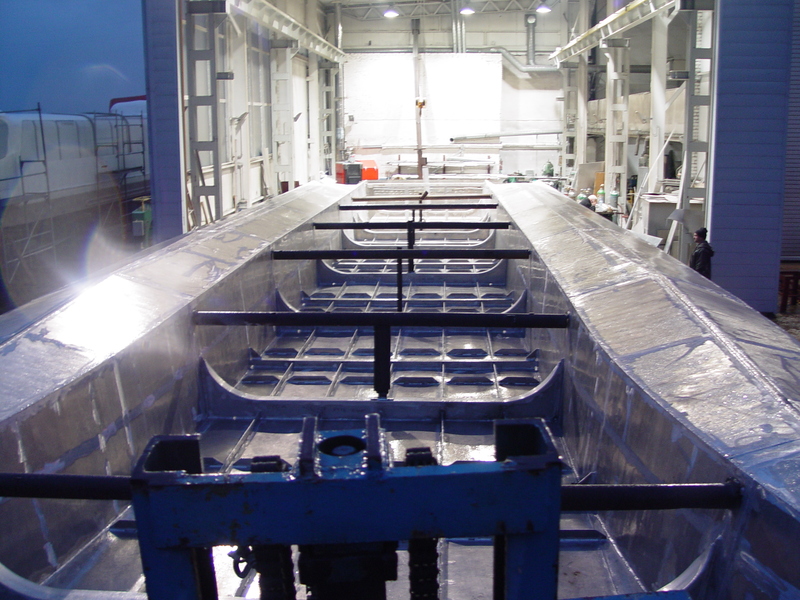 The shipyard JABO is one of the few shipyards specialized in the construction of very thin steel of up to 2mm, so that it affects “in plus” on the weight and performances of built watercrafts. 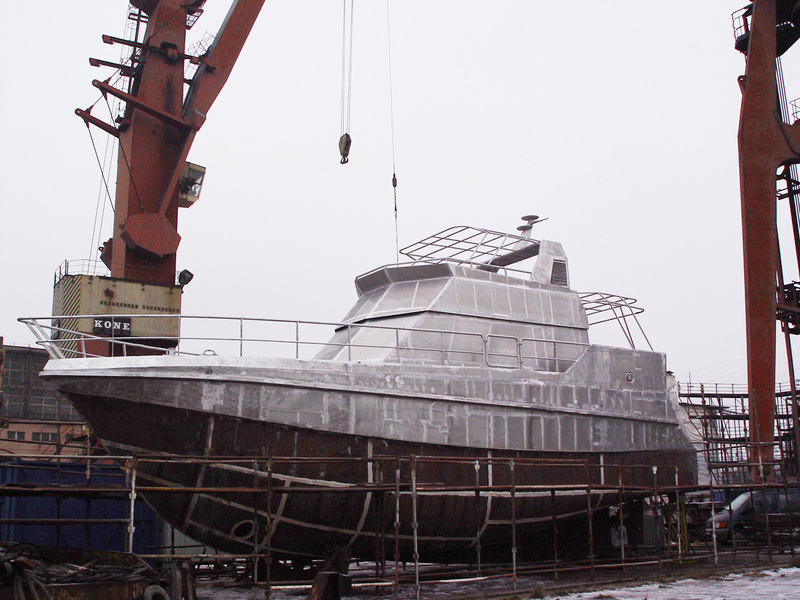 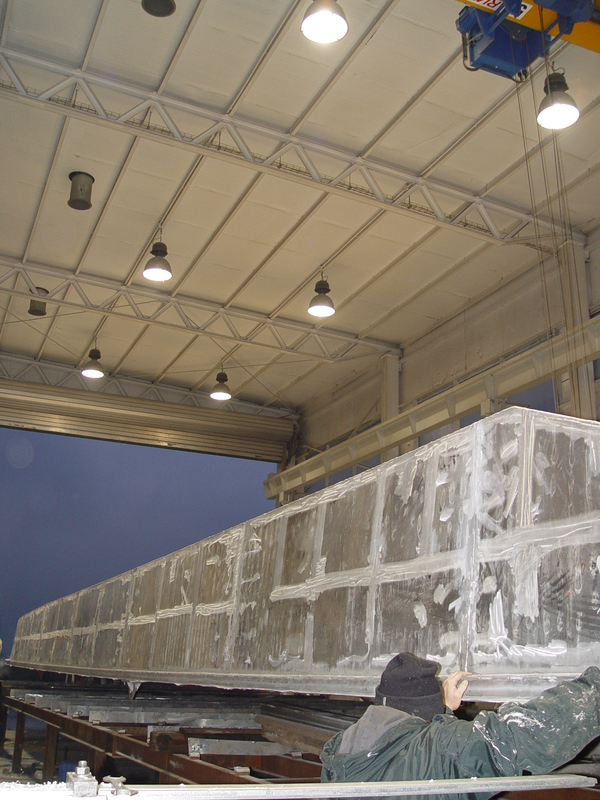 Hulls and superstructures created by us are equipped fully or partially, depending on individual arrangements in the contract with the shipowner. 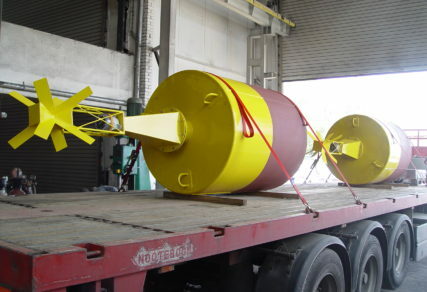 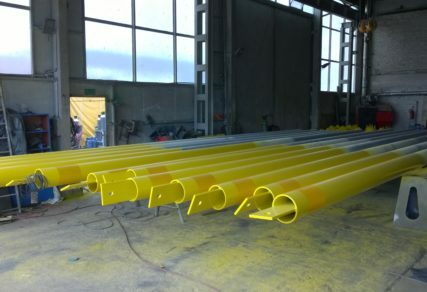 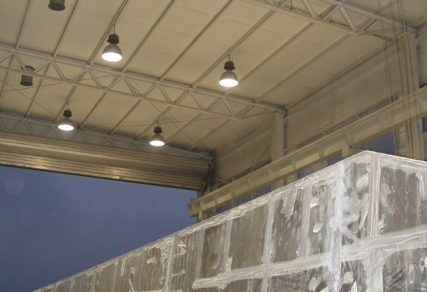 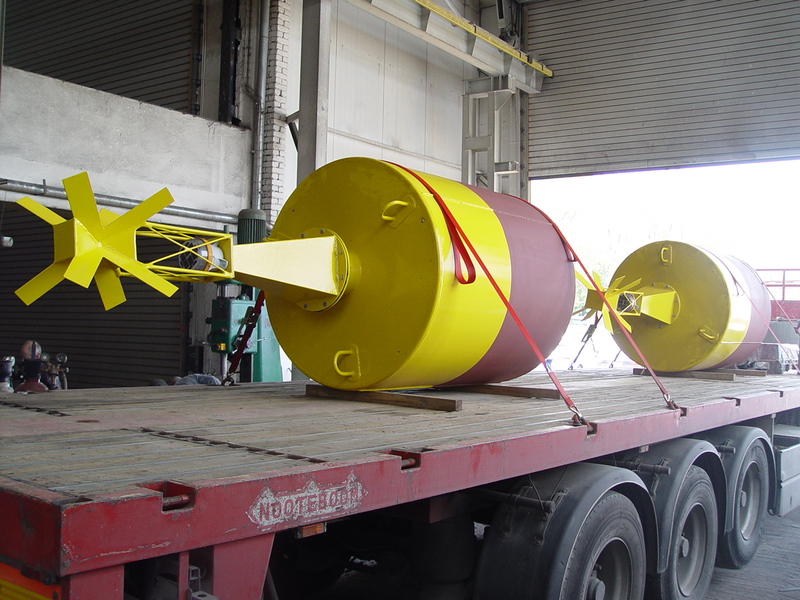 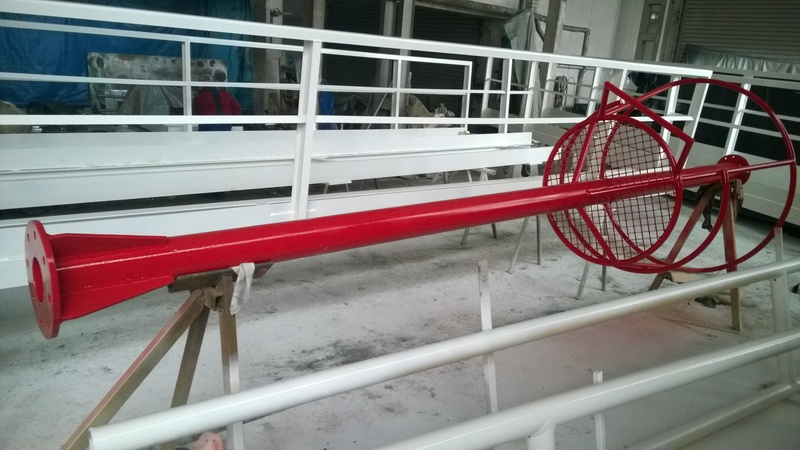 Masts and sea buoys made of aluminium and steel were from the beginning of our business, as in the case of hulls and superstructures, standard elements. 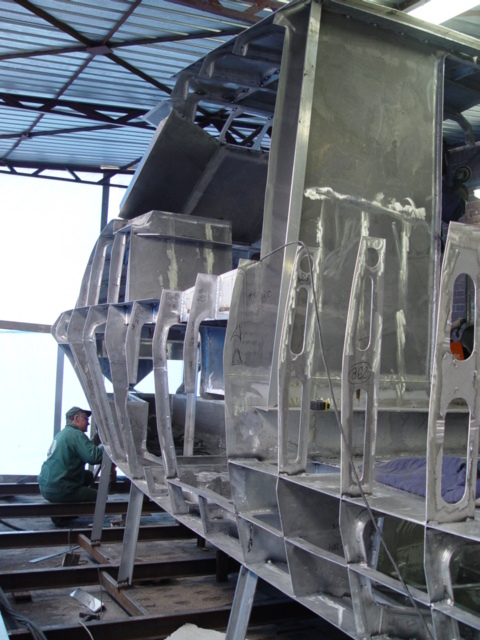 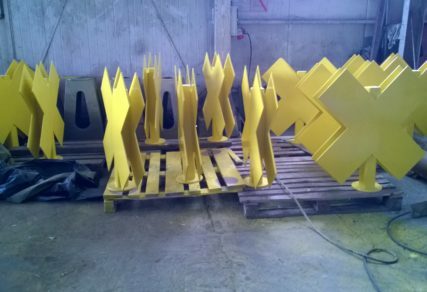 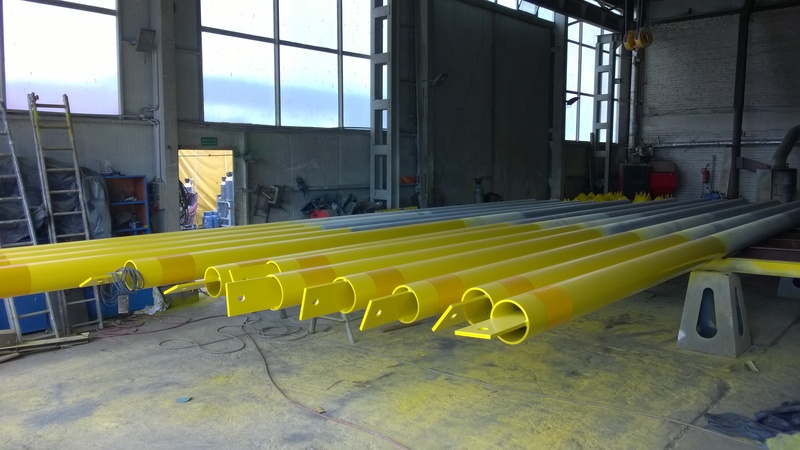 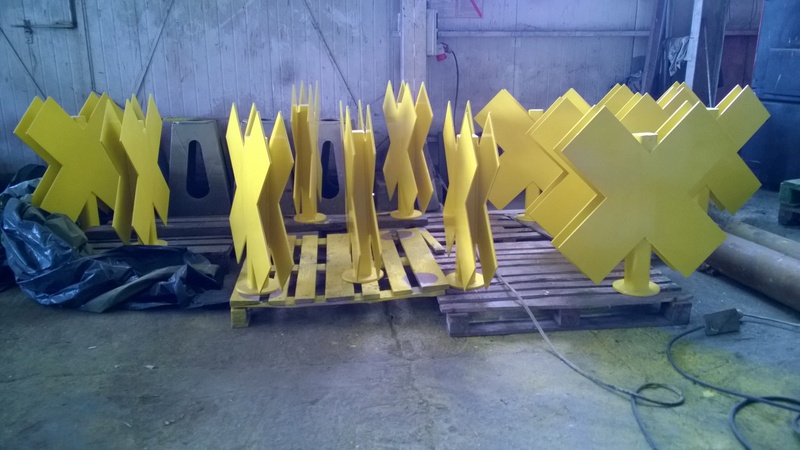 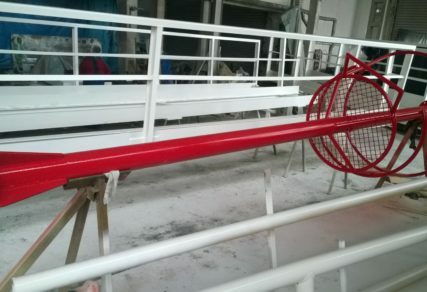 We create the masts for yachts that are built in our yacht shipyard as well as for external orders.